The Palio is three minutes with your heart in your throat and a lifetime of emotion condensed into four breathtaking days. It only lasts 90 seconds, but they are the most exciting seconds you can experience in all of Europe. 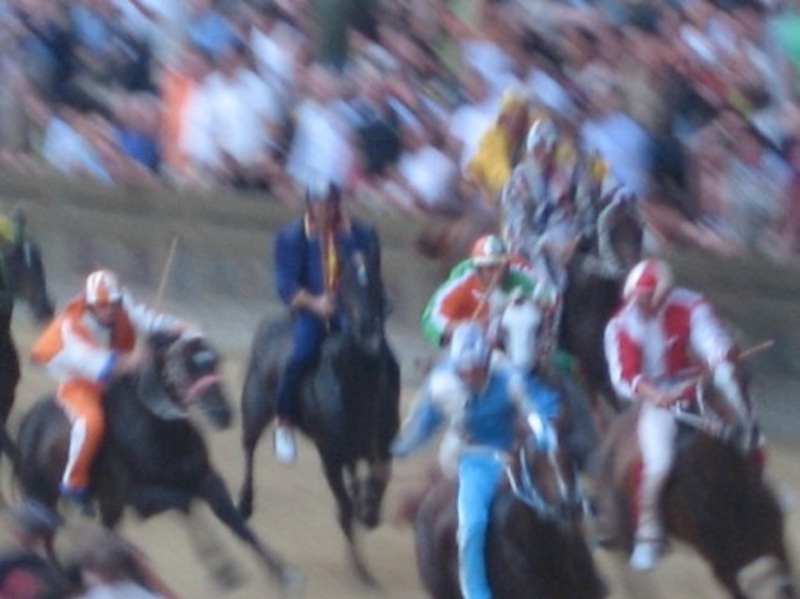 The Palio is allegory and reality together. It has remained the same, even though the race has been adapted over recent centuries. See the Siena Palio as few can, from a window in Piazza del Campo. Enjoy this exciting, ancient spectacle as if you were a true Siena local, taking part in the pivotal moments of the event while enjoying a vantage point that is only for a privileged few.